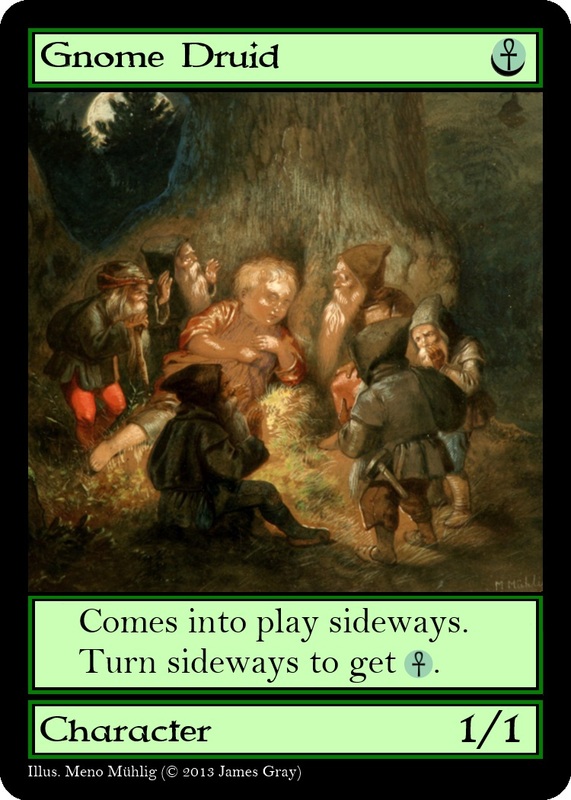 I developed a combat-oriented fantasy card game based on what I believe collectable card games could have been like if they were made in 1893 — a hundred years before Magic: the Gathering was made. The idea of the game is that you are a wizard that duals against other wizards. You both cast various spells, and raise an army of characters to attack the opponent. 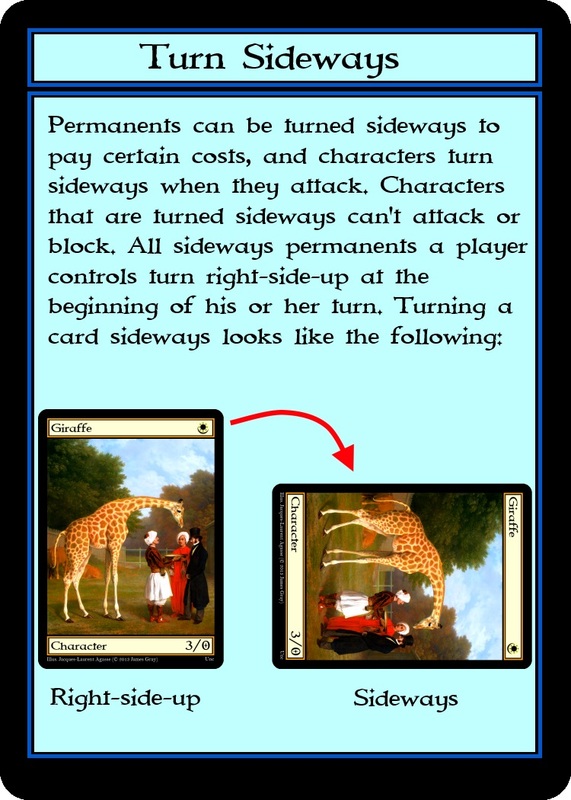 The rules and all the card images are available in PDF files below. 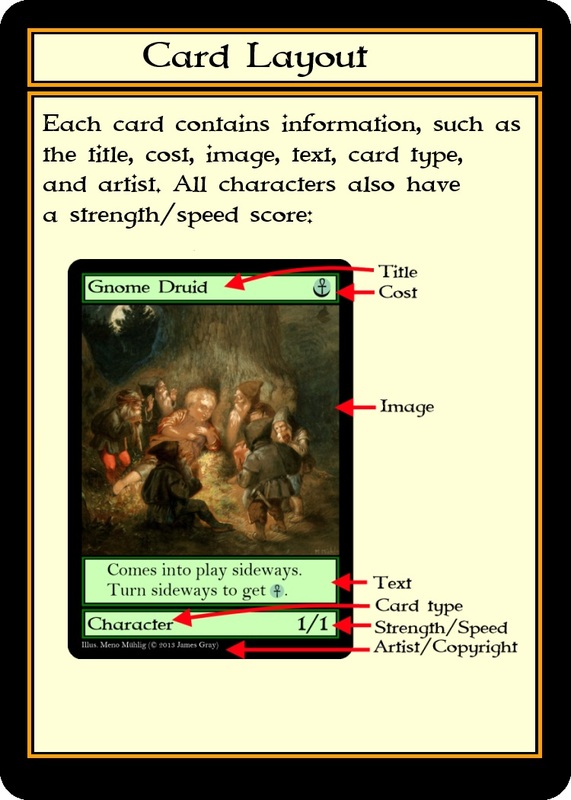 I advise people to print out three of each common, two of each uncommon, and one of each rare to make a “cube” — a pile of cards that can be used for drafting the cards. Hello, i just found out about your games and i must say i love them. With that in mind i am deeply sorry to announce that the files 12, 13 and 14 of this game (Spellslinger) are missing (404). Would you be so kind to re-upload them so we would appreciate your game at it’s maximum? Also, i don’t know if you find appealing to have so many files in your pages but wouldn’t be more convenient to have a “compressed zip” with all the files as an alternative option? Thank you for your attention and keep up the good work. You truly are amazing at making card games. No zip files are allowed for wordpress. Thank you for letting me know that there’s a problem with the files. I was wondering… why haven’t you put the Black color as a playable option in the game? Nº 1 – The church at the time would look with bad eyes at it, making sells more difficult if not completely banning the game. With that in mind, the developer thought he didn’t want to lose money with the investment and just tore it off the game. Nº 2 – None of the conspiracy above. 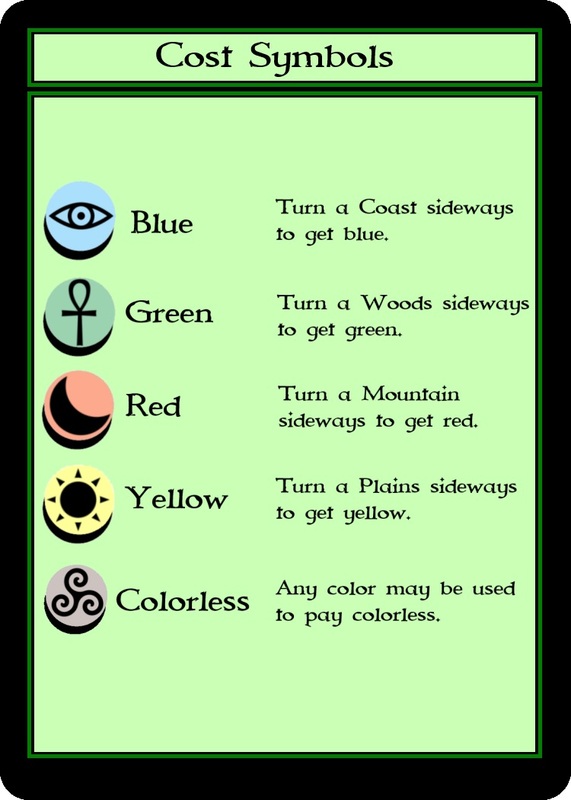 Instead, the game was created with the 4 main elements in mind, translating to White being Wind, Blue being Water, Red being Fire and Green being Earth. Nº 3 – Both, who knows. Of course, i created this “theories” before actually reading about the “color themes” (Part VII: Color themes) in the Spellslinger manual. The first fantasy card game I developed for the site used a regular deck of cards, and the third used a Tarot deck. There’s only four suits in those decks. The games are imagined to be developed in the past, so they are meant to be based on a certain historical path. 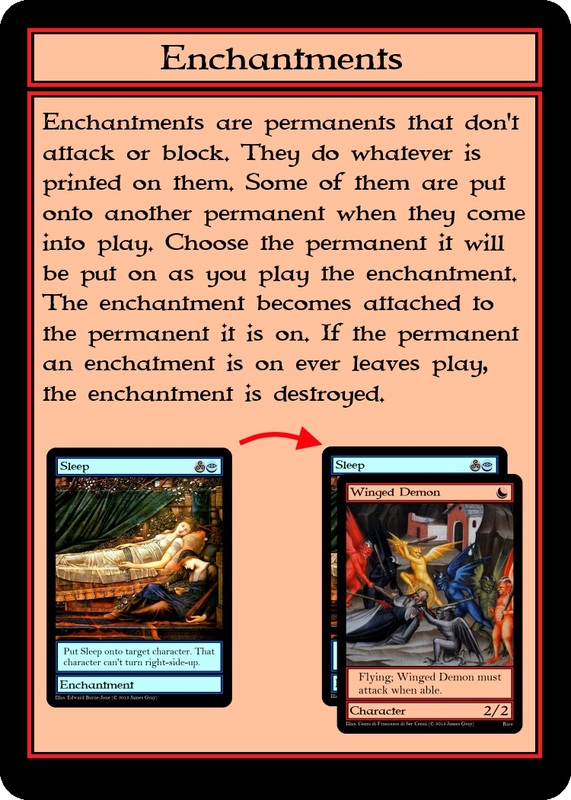 I decided that Red would basically include the idea of black (as it is found in Magic the Gathering). Also, I wanted the cards to be colorful and I’m not sure how the template I developed would look for black. * Tree of Life (File 29) – Tree of Life doesn’t have a Rarity text at the low-right corner. It’s not annoying to find errors. I will make corrections when I get a chance. Thanks for helping out. I made quite a few corrections including those you mentioned. If you play this set, feel free to make more recommendations based on your experiences.